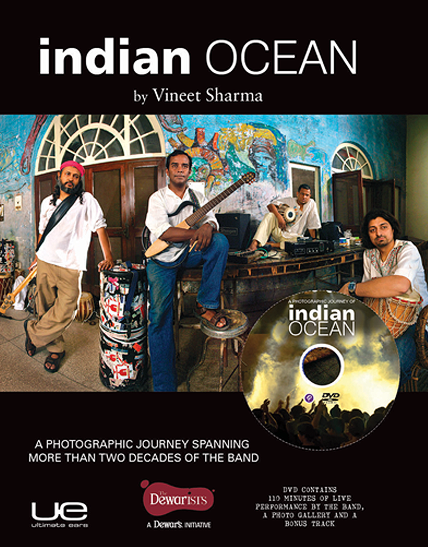 To document the life and journey of one of Indiaâ€™s biggest bands is not an easy task.Â It took Delhi-based author and Indian Ocean fan Vineet Sharma roughly two years to collate and create a visual and textual narrative of the bandâ€™s journey in the book that is simply titledÂ ‘Indian Ocean’. This is the first time that Sharma, who is the publisher at Parragon Books and editor of several books on history, music, wildlife and travel, has taken on writing. What makes the book interesting is the story of the band being narrated through photographs, even if it is not told in chronological order. Says Sharma when we meet him in Mumbai, â€œThis book doesnâ€™t follow the clichÃ©d format like this is where they started and this is their childhood picture archive and now theyâ€™ve started getting older. Â The visual story is fairly intertwined as the flashbacks are injected through the story. That way, I think the thread for the book was perhaps the most difficult.â€ Excerpts from an interview with Sharma. How did you pick Indian Ocean? Because they truly deserve it. They sort of changed the music scene for good and very early on in those years when nobody dared to do that. I remember that most of the bands would play covers and pretty much just western music. Then there was Indian Ocean. The college crowd saw pretty much a western lineup [in Indian Ocean] â€“ a bass guitar, an electric Yamaha guitar, drums â€“ and they saw them play some very Indian music. Fusion was the easiest word that came to mind. But it was nothing by the book at all. There were no vocals initially, no lyrics, very instrumental, beat changes across a 10-minute piece Â and a never-heard-of Indian style on western instruments. This music has endured over 20 years, but Indian Ocean have managed to be ahead of the curve despite a lot of new music and bands coming in. So I think thatâ€™s what got me going. Do you remember the first time you heard the band? For years, I kept going to their shows, but never went up and spoke to them. The first member of the band that I met was Susmit. This was at photographer Raghu Raiâ€™s book launch and we got talking. We went hiking together soon after. 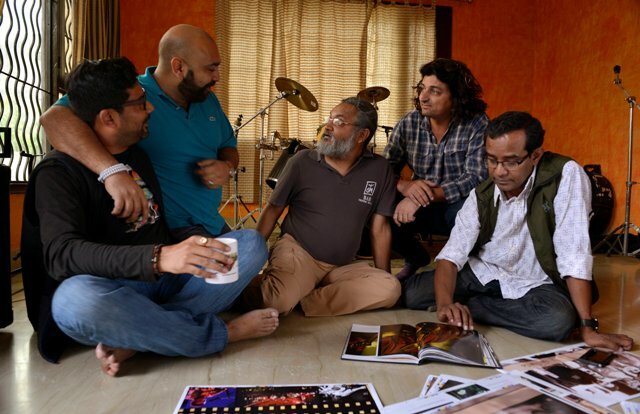 I met Rahul at shows and the rest of the band all together at their practice pad, 16/330 Khajoor Road. Â How did the book come together? We decided for the book to be a visual and a textual narrative. At some point, I saw some stupendous pictures of The Beatles and I thought that Iâ€™m not going to find images like those. So where is the point of difference going to be? That was when we decided to start talking to Â family members, friends and we had some incredible pictures then. The family pictures we dug up showed us the fun times of the band and the struggle of the band. Those are fantastic photos and thatâ€™s how the journey started. Then, of course, Indian Ocean pitched in and they went online asking their fans and friends for photos. Then the challenge was that if we used all concert photos, the book would be all red and blue [since stage lights are usually in this color]. So I commissioned this lovely young photographer Shatabdi Chakrabarti to shoot some photos. He did a lot of good work, which were shot during the course of putting the book together. So there were three sets of pictures â€“ archival photos from family and friends, fan photos and the third was from the photographers, who orchestrated the shoots. What is the most remarkable aspect of Indian Ocean? What do you think is the road ahead for Indian Ocean? Indian Ocean is available online on Parragon Books and costs Rs 1495.